I recommend not going too broad with your blog, keep articles on-topic and of course on-brand. Search engines will begin to categorize your blog, so it’s important that you send the right signals by staying focused on your themes. Depending on your domain authority, will you will either be at an advantage or disadvantage. You can check your domain authority here. What does this mean? Let’s use a straightforward example: If an established blog and a brand new blog wrote very similar articles on the same topic, the established blog would see more search traffic because domain authority is much higher (new sites start at 0). I’ll be honest, this section is a bit dry, but it’s absolutely necessary for every post. If you already know all this, please skip ahead to the section “search-worthy content.” There’s some neat stuff in there. The title tag is the most important meta tag. It is the text that appears at the top of your browser window and more importantly, as the blue link in search results. You can use this tool to see if your title tag is within the character restrictions, i.e. to prevent your title tag and meta description from being truncated. The title tag also acts as the text that displays when a link is shared on social media. The meta description is the 155 characters of descriptive text that sits below the blue link in search results. It’s important to make your meta description an accurate reflection of the content on that page because if the search engine flags it as irrelevant, it will override your writing and fill in its own. Image alt-text describes the images you use in your blog, which can be useful for visually impaired people and it can aid in search visibility. However, it’s become less important as machine learning image recognition algorithms can now describe an image to the search engine. Writing image alt-text continues to be advisable, but it’s not something you should spend a lot of time on. Internal linking is the practice of hyperlinking across various pages on your own site. Look for opportunities to link from one page to another, but take care to do so in a way that sounds natural. Search engines will notice pages you link to and will take that as a sign that you consider those pages to be important. A page that sits way off to the side of your website with no internal links is probably not an important page to you, or to search engines. The importance of URL optimization has change over time as search engines now display URLs differently. It used to be that the entire URL was displayed on a search results page, but this has been modified to a bread crumb format and with the advent of mobile, the URL (for all intents and purposes) is not displayed at all on the SERP (search engine results page). A good rule of thumb: Make your URL different than the title of your post, but do not attempt to stuff keywords. If anything search engines are beginning to favour short URLs consisting of only one to three words. With careful topic selection you will be able to earn search traffic because search engines implicitly trusts you more due to your online reputation and domain authority. We suggest using careful topic selection you will be able to earn search traffic because search engines implicitly trusts you more due to your online reputation and domain authority. We suggest using Google Trends to help you pinpoint emerging topics and trends you can write about. Text-tools.net is a semantic analysis tool that will identify common words found in the top 15 search results for any given keyword. This is important because in addition to the main keywords you’re targeting, there are a number of related keywords to consider. This is similar to what we did with the route pages exercise, except Text Tools simplifies the process by limiting analysis to the first 15 results for any given keyword. 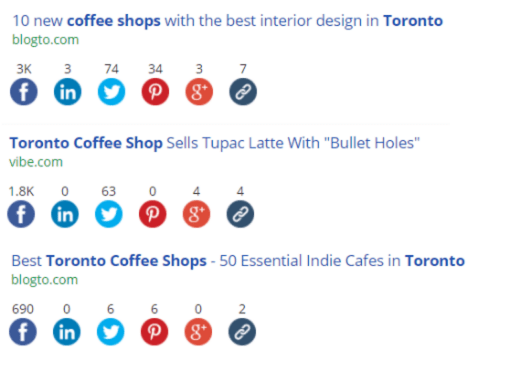 Not that this will be in your corporate blog, but let’s use an example blog about “Hot Coffee Spots in Toronto.” If we search that phrase in Text-tools (as reflected in the image above), we can see the words that most commonly appear within the top 15 ranked results for that phrase. You can use this data to include these keywords in your own content. Content length for blogs should be at least 400 words in order to sufficiently cover a topic. Blogs shorter than this can still do well on social media, but they should be accompanied by lots of imagery to make up for brevity of the content. “Length is strength” is a term thrown around a lot in the SEO world and with good reason: Search engines do seem to favour content that covers topics holistically and from all angles. Answer the Public, Uber Suggest, and Keywordtool.io all work off of Google’s related searches. Using keywords from related searches will make your content more appealing to search engines, no matter what topic you’re writing about. Using these tools will help you take your content to the next level and make your process more efficient. Use BuzzSumo to uncover topics that have been highly shared on social media. You will get a much more diverse set of results compared to a traditional search engine. You’ll likely get results that are entirely different and possibly even more recent. This can help inspire topics and it can also give you strong content to feature in your blogs. Be sure to use their content filters to narrow down the type of content you want to search for, e.g. article, infographic, video, etc. BuzzSumo has a free version, but we recommend getting the paid tool, which starts at $79 USD/month. Writing with readability in mind is very essential to great content. Keep in mind that people consume content on different devices, from laptops to tablets to smartphones. With the variety of screen sizes out there, be sure to keep paragraphs short and concise, and use headers and bullet points wherever possible. It is important to optimize all posts in order to help search engines get a high-level understanding of the focus of that post, and to be able to categorize each post in relation to the rest of the web. There are 4 main ways you can optimize a post, above and beyond the content itself. All of these are touched on in the Optimizing Meta Data section of this blog. From my experience, publishing your content early in the morning will ensure it gets indexed in time to be served to that morning’s search traffic. Popular newspapers tend to publish at 3 am. I think you’ll be safe to publish between 6 and 8 am. 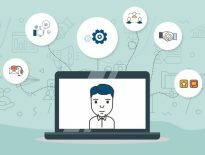 For a comprehensive guide to building links to your blog I recommend this article on Moz by Matthew Barby. Use caution with some of these networks as they have been known to serve clickbait articles. With StackAdapt, you will maintain more control of this. I recommend only testing one variation at a time — that way you’ll know definitively the colour, size, shape and text that converts best. It’s also recommended to get a good sample size. Use this sample size calculator to get a good estimation for your needs. 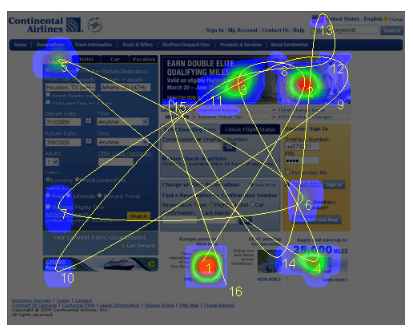 Heat mapping tools like Crazy Egg and Hot Jar can give you a sense of where users are clicking and how far down the page they’re scrolling. 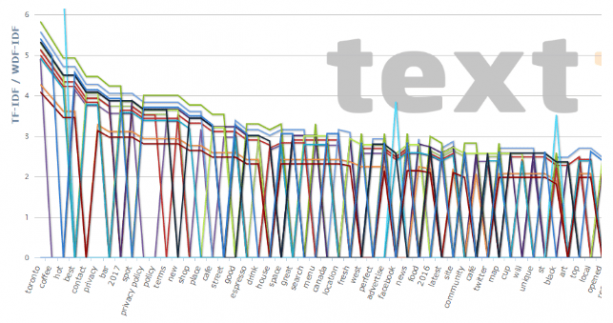 With this data you can make decisions on shifting the content and tweaking the design. For example, if you find that your social media buttons aren’t being clicked on enough, you may want to make them sticky alongside the content, which means the buttons will be visible no matter where the user is on the page. You can also use the heat map to determine if people are clicking your affiliate links or performing another conversion point like signing up for mailing list. These tools also allow you to record user sessions, though sorting through and viewing these can become time consuming. You can set up heat maps for all three device types: desktop, tablet and mobile. Site Speed is incredibly important for all websites including blogs. 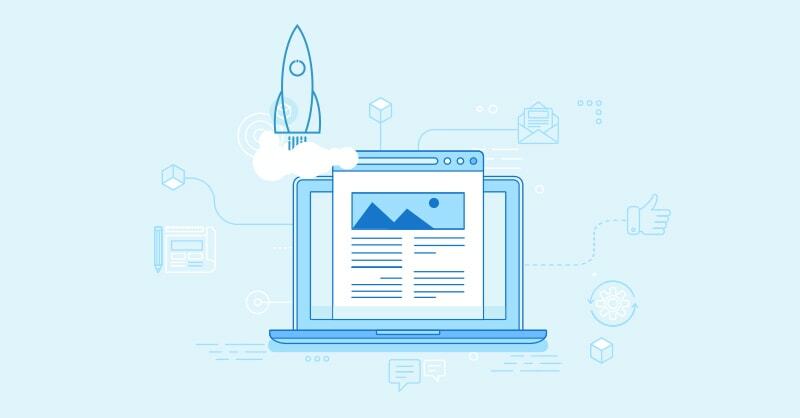 It’s especially important for blogs to remain vigilant about site speed since each new post will ultimately be responsible for its own load speed. The main culprit for a slow-loading page are its images. Images should be saved so they are less than a megabyte (though you can actually save photos quite a bit smaller than a megabyte, which I would advise doing). You can still ensure your photos will appear clean and crisp by using the Photoshop setting “Save for Web and Devices”. Please stress this to whoever uploads the images to the blog. Page speed can be tested using Google Pagespeed Tool. At the beginning, don’t get too focussed on conversions. Getting conversions is a numbers game, you need volume to convert at a substantial rate. In some cases, a 3% conversion rate is a wild success; however, when you think about how that only means 30 conversions per 1000 visitors, it seems like a steep hill to climb just to get 30 email addresses. Never mind that out of those 30 email address maybe one person will become a customer. To start, metrics like unique visitors (people who have never been to your site) is something that should be considered a success. 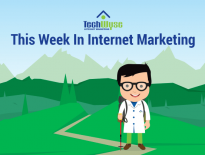 Social shares and blog comments are another small win you should celebrate. Blogging is a journey, good luck and make sure you never stop noticing what others are doing and learning from the best. If at any point you have questions or if you feel stuck, please leave a comment and I’ll be sure to assist you.